Bulacan City, Philippines | 14March 2017: Philippines Students and Recruiters Demand Higher-Learning Special Engagements To Be More Competitive In The Workforce and as Valued Citizens. STI College Answers The Call -Again. The 2016-17 Trail-Blazing, American-Hosted Success Seminar Debut & Speaking Series Has Continuously Sold Out With 800+ Attendees To Date. Now Introducing An All-New 2017 SEO 101 US Certification Seminar, Hosted By Acclaimed CIO Joselito ‘Joel’ Tiongson and expects the same support for the limited seats available. JOIN THE Philippines HIGHER-LEARNING REVOLUTION! Success Is For Everyone. STI SPECIAL ENGAGEMENT March 18th, 2017 (PST). SEO 101 US Certification Seminar & Work Shop is an eye-opening, interactive introduction to –successful- Search Engine Optimization (SEO) in the Philippines and the United States. STI College: formerly known as Systems Technology Institute, STI is the largest network of for-profit information technology based colleges in the Philippines, will be featuring the countries first, Philippines-specific to the United States market(s) seminar(s). STI offers a curriculum including business studies, computer science, education, engineering and health care; acclaimed, as the second largest IT-based educational institution in Asia. The Philippines is the world’s fastest-emerging venture and consumer market, millions of new gain-fully employed workers, as well as, possessing America as its largest investor. The Philippines is also one of the world’s largest remitters, with billions of dollars being transferred and invested by OFW’s, Balikbayans and foreign investors. In addition, the more than 7,000 islands have been named as a ‘National Geographic Top 20 Destinations in 2016’. As well as, a trend set by the adored -black American New Yorker- former US Ambassador Harry Thomas; the Philippines Islands are ‘Minority Success America Magazine’s #1 Place for black Americans and other US Minorities to travel to, live and do business’ –for the 3rd year in a row. The tropical country is known for their warm-welcoming culture, simple-lifestyle, cuisine, and is also the most-popular outsourcing partner in the world, beating India just a few years ago. However, though, more of the PH-domestic population are ‘hire-able’ compared to India, which has recruiters scampering to train the population, in an effort to keep-up with employment demands by local, national and international companies. Entrepreneurship and Higher-Education is held in high-regard in the Philippines. Import, international talent and entrepreneurship-specialists; such as Seminarian Host Kareem Jackson, bring real-world, eye-opening and truly-applied insights, to the progressive, non-traditional classroom. From what entrepreneurship truly is, to starting in business with little –or no- cash money, as a youth and outside of your expertise, attendees get real-life insights which they can apply immediately. With literally millions, and millions of new graduates each and every year; as well as non-graduates with limited options, Filipinos and expats living in the Philippines need entrepreneurial-options. It’s the Information Age. Humans, no longer ‘search’ for things by asking around, walking for blocks, driving in a car, nor do they by with ‘cash’ anymore –in most Western countries. Now, billions of people, customers, consumers, educators, restaurants, high-learning institutions and information is available to businesses and professionals right at their fingertips –from anywhere, and everywhere in the world. Therefore, though the days of ‘walk-ins’ or ‘flyers’ are not over, quite on the contrary, those days are enhanced and quantified. ‘The Flyer’ is not only printed and handed out on the streets to passers-by, it is now also distributed to people in your area right on their cellphones, laptops, tablets or smartphones. In addition, with ‘savvy SEO’ you may also directly reach their friends, family and co-workers as well. ‘The Brochure’ is not ‘The Website’ or ‘Webpage’ and customers can now see your ‘brochure content’ such as a menu or list of services, as well as videos, testimonials, book and pay all from their cellphone. ‘The Search’ has gone from gallons and gallons of gasoline, and asking all your friends, searching for magazines in the book store and/or walking all over the neighborhood to a few seconds right on your cellphone or computer. ‘PET SHOP…’ or ‘NEW JOB…’ or ‘PLANE TICKET…’ as well as ‘OPEN NEW BUSINESS…’ and ‘click’ anyone anywhere in the world can see your business instantly. They can compare you with your competitors, they can browse your shelves, see you displays, review your menu, check your services, credentials, press, media, almost everything –AND THEY CAN BUY. Contrarily, businesses are able to ‘search’ for, and ‘filter’ customers as well. They can introduce their products, opportunities and gain exposure to people nearby and far away. Businesses are not merely lucky to be found on your on-line search, they are not magically appearing in browsers, no one is accidently shopping from them and spending trillions in on-line paid and on-line generated sales. They have good SEO. The IT Field (Information TECH) is the Philippines fastest-growing and highest-paid sectors today. With a close and converse second being the BDC or The International Business Development Company Sector; which includes, but is not limited to on/off-line sales, marketing, all copywriting, consulting, R&D, PR, as well as, in many cases SEO, SEM, website development, E-Commerce and IT. With current Philippines-based salaries ranging from around P15,000 as a fresh grad, P25,000 for some experienced recent grads, to more than P250,000 for entrepreneurs, CIO’s and Corporate Managers. IT has definitely become popular. IT has also thrown-off a few major-side-line fields such as SEO and SEM which can be done but current IT students and/or computer and internet savvy professionals. STI College is one of the Philippines most-progressive institutions and intends to maintain its rankings as a Top Tier Philippines Educator and has stepped outside-the-box to arm select students with invaluable-competitive advantages once they graduate; including but not limited to, entrepreneurship and IT success. STI has reserved a Special 2-Hour Engagement, by highly-acclaimed, self-made internet Guru, Joselito ‘Joel’ Tiongson. 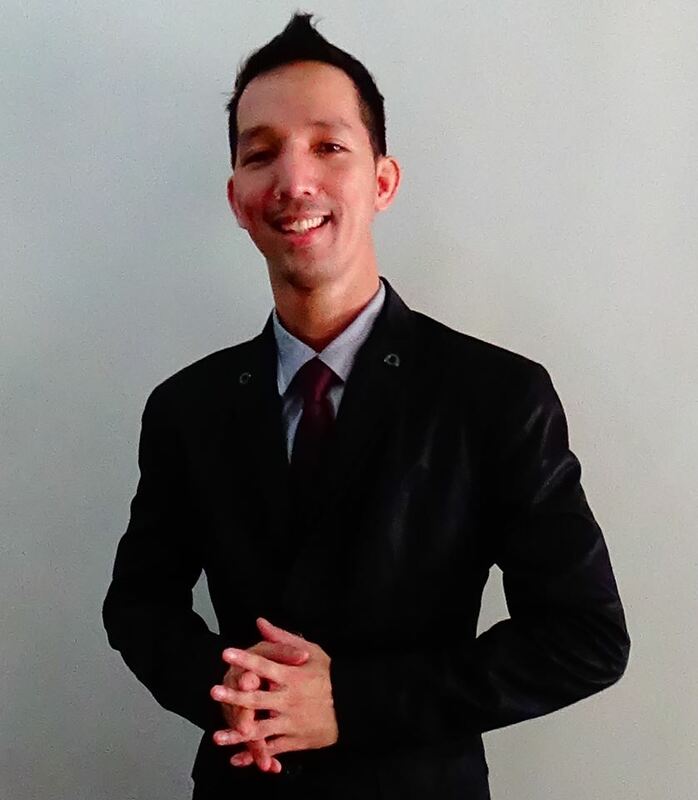 Joel, is one of the countries youngest CIO’s, IT partner to a US BDC (international business development company), he is PH Executive Publisher to the US Published Philippines Magazine International and has worked in both the Philippines and abroad. Tiongson and his Tiongson Group have developed first-of-its-kind websites in the Philippines and have innovated some of the countries oldest businesses. He is a Philanthropists, and has supported Philippines Philanthropy Tourism, where he; along with his US/PH partners, have helped more than 1,000 children with food, seminars, education, scholarships, clothes and more. SEO 101 US Certification Seminar& Work Shop, LIVE! ON THE SET With Joel Tiongson“ BE AN ON-LINE CELEBRITY?” PLUS YOU’LL LEARN “8-KEYSToSEO Success” in this IT entrepreneur expert-hosted, step-by-step, interactive Q&A-style, comprehensive, international marketing success seminar 7 workshop. shows attendees ‘The IT PRO MINDSET’ and how-to be internationally-marketable, using proven, real-world tips and strategies to help the student, want-to-be-IT PRO, micro-investor, professional and/or start-up entrepreneur how to get started immediately as an IT Professional. At STI, top-students see the need to begin there extra-curricular, real-life, applied-studies courses early, before their graduation. Seminars such as SEO 101, give STI students a unique advantage when perusing their successful post-graduation life. Savvy parents and high school students, select STI Colleges nationwide, due to their uncanny ability to arm their graduates with the skills needed to ‘start’ with more hands-on, practical experience and savvy.